Bottom Line: A smoky, earthy mezcal with a creamy center. 91 • ArteNOM Seleccion de 1579 Blanco Tequila 40% (Mexico) $49.99. 89 • ArteNOM Seleccion de 1549 Blanco Organico Tequila 40% (Mexico) $49.99. 95 • ArteNOM Seleccion de 1414 Reposado Tequila 40% (Mexico) $54.99. 91 • ArteNOM Seleccion de 1146 Añejo Tequila 40% (Mexico) $69.99. 86 • Cimarrón Blanco Tequila 40% (Mexico) $18.99. 85 • Cimarrón Reposado Tequila 40% (Mexico) $21.99. 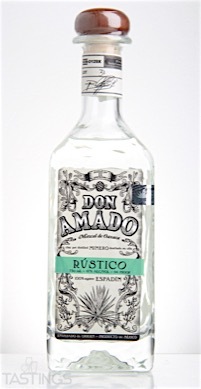 92 • Don Amado Rústico Mezcal 47% (Mexico) $44.99. 92 • Don Amado Reposado Mezcal 45% (Mexico) $49.99. 94 • Don Amado Arroqueno Mezcal 46% (Mexico) $89.99. 93 • Don Amado Largo Mezcal 46% (Mexico) $89.99. 86 • Don Amado Pechuga Mezcal 46% (Mexico) $89.99. 94 • Fuenteseca 2005 7 Year Aged Extra Añejo Tequila 42% (Mexico) $159.99. 94 • Fuenteseca 12 Year Aged Extra Añejo Tequila Reserva 45% (Mexico) $299.00. 92 • Fuenteseca 2013 Cosecha Blanco Tequila 45.7% (Mexico) $79.99. 92 • Mina Real Blanco Mezcal 46% (Mexico) $34.99. 92 • Panama-Pacific 9 Year Aged Rum 47.3% (Panama) $29.99. 96 • Panama-Pacific 23 year Aged Rum 42.3% (Panama) $54.99. 93 • Tequila 3-4-5 Extra Añejo Tequila 43.5% (Mexico) $349.00. Blanco mezcal is a spirit from Mexico that can be made from as many as 18 different types of the agave plant, some cultivated and some wild. Most are produced in the Mexican state of Oaxaca. A blanco mezcal is distilled in a copper still (sometimes double distilled) and is not aged in oak, thus preserving a clear appearance. Mezcal is often confused with tequila, as both are made from agave. But while tequila must be made from one specific blue agave, mezcal can be produced from eighteen different types of agave (maguey). There are two types of mezcal, those made exclusively from maguey and those made from at least 80% maguey mixed with other ingredients. Mezcal has similar aging terms as tequila, such as reposado and añejo, but generally mezcal is more of an artisanal product, so examples of mezcal vary more than tequila. 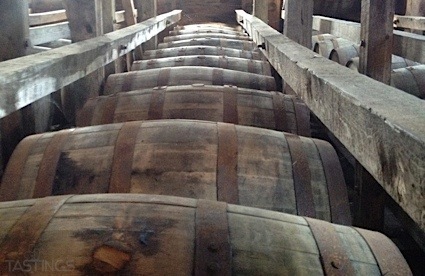 Most are double-distilled, while some are triple-distilled and then aged for several years in oak barrels. Flavors range from smoked herbs and pepper to tobacco and charred fruits. Serve these on their own, in an adventuresome cocktail, or with a cigar. Don Amado Rústico Mezcal rating was calculated by tastings.com to be 92 points out of 100 on 6/2/2016. Please note that MSRP may have changed since the date of our review.